When it comes to saving money, I have no idea. 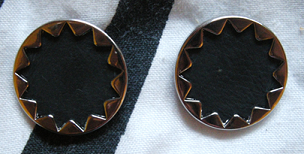 I'm absolutely terrible at it and I want to buy everything, especially when it's shiny. I've always been one to put a portion of money into my savings account but, to be honest, it's not enough. I recently got a new job too, meaning I'm earning a bit more $$, so it's time I got more dedicated. Unless I have motivation and/or goals, I'm not going to get there. I know that for sure. Next year I've decided to go to IMATS (International Makeup Art Trade Show) in Sydney. I'd love to go to the one in New York but, for now, Sydney will do. IMATS is my saving goal as I want to have more than enough money for flights, accommodation, IMATS (helloooo lots of spending) and, well, everything else. To effectively save, I've decided I need to stop buying make up. It's not as if I don't have enough make up either, I always just want more. There's a couple of things I will buy next pay (Primed & Poreless and an Urban Decay setting spray off Beauty Bay) but that's it. Every time I reach a $500 milestone, I'm allowed to buy some stuff. I'll list my targets and allowances below. Realistically, once I stop spending so much on make up I should reach these milestones a lot quicker. I guess we'll just see. What do you think of my milestone purchases? Do you have better ideas for what I do to celebrate each? Lately I've been enjoying watching people's 'empties' videos. I've been keeping the packaging of everything I've used this month to show you all. I just filmed this as a video but, for some unknown reason, it won't import to my laptop. After waiting a while I got impatient and here I am. Maybe next month my laptop will sort itself out in time. This month I used two Macadamia Natural Oil Deep Repair Masque 30mL sachets, as featured in my Hair Show post. The first sachet was left in my hair for 5 minutes and, to be honest, I was pretty disappointed as there's so much hype around these types of products. Given that I had a second sachet, I decided to give the masque another chance. Around midday on Saturday I washed my hair (didn't condition it). I then brushed it out and applied a whole sachet of the Macadamia Natural Oil Deep Repair Masque, with the intention of washing it out that afternoon. By about 6pm I decided I couldn't be bothered washing it out and left it in overnight. When I washed it out on Sunday my hair felt amazing once dry. It's been two days now and my hair still feels so soft. I bought another sachet to apply tomorrow. I don't have work and/or Tafe on Thursday so I'll be leaving it in overnight again. The Sweetie Soap stack is a stack of three of LUSH's most popular soaps; Godmother, Honey I Washed the Kids and Rock Star. With three x 100g bars, there's 300g of soap. Godmother: A soap that smells like their best selling shower gel, Snow Fairy. Honey I Washed the Kids: A honey and toffee scented soap. Rock Star: A sweet vanilla scented soap (although I prefer to describe it as a party for my nose). I bought this soap stack in March of this year (as featured in my first LUSH Cosmetics haul). In typical Sophie style, I only had Rock Star on my shopping list but I splurged. The Lushie (LUSH sales assistant) recommended the stack when I contemplated buying a soap other than my favourite (by favourite I mean the only one I've ever tried 'cos I fell in love). A big thanks to everyone who entered the 30 000 Views Social Networking Giveaway. Yes, I know I start every competition winner announcement with this but it needs to be said. This competition was celebrating the blog reaching 30 000 views and now we're at 36 400+! We've almost reached the 40 000 views milestone. Far out. Some of the people entering this competition were incredibly dedicated, entering two time almost every day. Whether you win or not, thanks! A couple of days ago I uploaded a post, as well as a status on my Facebook page, asking viewers to hit me up with any questions (personal, beauty related and/or otherwise) that they wanted to know that answer to. I received 5 questions all up (all submitted via Facebook, funnily enough) so let's get into it. If you had only one make up product to choose to use out of your whole collection, what would it be? Eeek! What a tough question, Jess. To be honest, it would probably be my NARS Sheer Glow foundation. It's a little too light for me (I just CAN'T seem to find a perfect colour match) but, as you may have seen from my LUSH Skin Challenge posts, I have a few patches of discolouration and skin that doesn't want to behave. I love having a product that can cover that all up. My skin is drying out like a b*itch thanks to winter. Can you suggest any great moisturisers to help my skin survive the cold? I'm not sure if I'm the best person to ask, to be honest, as I have normal/combination skin that borders on oily at times. With that in mind, however, I'm really happy with my LUSH Vanishing Cream moisturiser. It's featured in my LUSH Skin Challenge posts. It's a great, light formula that I feel moisturises my skin really well. I'm not sure if it would be intense enough for dry skin, but I'd definitely recommend heading into LUSH to grab a sample. The Lushies (sales assistants) might have a moisturiser that's more suited to you as well. What is this BB cream I keep hearing about? BB creams (also known as Blemish Balms, Blemish Bases etc) are a product that, in a basic sense, are somewhere between a tinted moisturiser and foundation when it comes to coverage. They're meant to have a soothing effect on the skin and act as a multi-tasking product. A BB cream is said to moisturiser the skin, prime it for make up, provide coverage and sunscreen. Some also contain agents that are meant to address problem skin. I don't know a great deal about BB creams as I've only ever tried two, but I hope to test out a couple more then get back to you guys. I'm wearing a white dress with a 'dash' of hot pink on it. I'd like to team it with a pink glitter eyeshadow. I wear eyelash extensions so I don't think it would be OTT. What are your thoughts? If you agree, what brands do you recommend? Wow! That sounds like a great dress. I hope you're wearing it on a great night out. Personally, I don't often rock hot pink eyeshadow. Why? Because no matter what I do, I always end up looking like I have pink eye. With that in mind, however, I've seen other people rock pink eyeshadow. With this in mind, I don't have a great deal of advice for you. I am, however, a big fan of Napoleon Perdis' Loose Dust Eyeshadows. 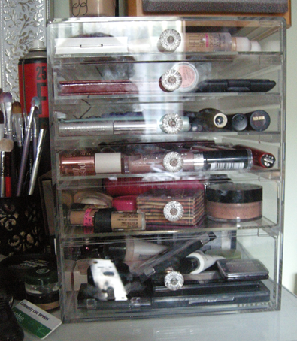 As you can see in my Napoleon Perdis Eyeshadow Collection post, I have a lovely pink loose dust in #20 Antique Rose. Although the packaging and colours have changed slightly since, I'm sure they have something similar. Sorry, Taya, I'm not sure how much help I've been. As far as pink eyeshadows go, be careful. Apply the colour slowly as it's difficult to remove. Don't blend your colours too much, as you don't want to look like you have an eye condition. Goodluck! I'd love to see photos once you've completed the look (either posted on Born to Buy's Facebook page or emailed to dontstopbuying@hotmail.com). When you have competition what program/method do you use to select a random winner? Unless stated otherwise, my competition winners are selected through random.org. Random.org is a website designed to provide users with a random number for such purposes. For example, if 110 people enter my competition I'll input 1 and 110 (because 1 is my starting number) and it will give a generated number. Every entry is numbered in a Microsoft Word document in the order it's received, so I just use the matching number. Keep your questions coming! I'd love to do more posts like that. Question and answer posts are pretty cool. They're a way to ask people's opinions, thoughts and, well, anything else you can think of. So, with that in mind, I'm going to be uploading my own Q & A post. When I reach 5+ questions, I'll upload the post. Ask away! I've had a pretty bad week this week. There's been a lot going on lately and, to top it all off, I'm sick (as I mentioned in my latest update) so I decided it was time to blow some serious cash. Sounds fair, right? 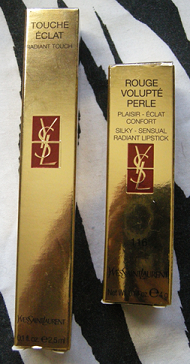 There's been a couple of Yves Saint Laurent products that I've always wanted to try, but I've always assumed they were completely unobtainable because of the price. After looking into the prices a bit further I realised they're not as expensive as I first thought. Yes, I spent a lot more than I could have today, but it could have also been a lot worse. "Orchids and everlasting flowers soothe and clean the skin thoroughly with a mild antibacterial action, and almond soothes the skin. 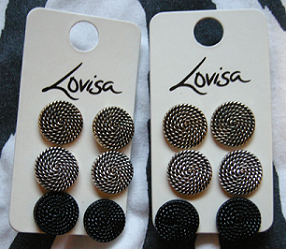 It's great for taking off stubborn make up and gives a fresh feel after using." In my most recent LUSH haul I featured 9 to 5, a cleanser that's also marketed as a make up remover. If you've read my 10 Hair & Beauty Rules I Break post (or even my Seven Deadly Beauty Sins TAG), you'll know that I'm terrible when it comes to make up removers; I either don't own one when I feel like I should be removing my make up or I'm too lazy to remove it at night. I bought 9 to 5 with the intention of using it as a make up remover, not a cleanser, and I've been using this product for three, almost four, weeks now. Unfortunately, I've been quite disappointed by the At $7.95 for 95g, however, I'm glad I gave this product a try. 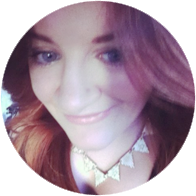 It's been quite a while since I last updated you on what's been going on for me and the blog. I haven't posted an for over a month and, given that I'm not feeling the best, I figured it was a good idea. At the moment I'm waiting on three beauty orders (someone really needs to take my debit card away from me!). I ordered the F05 Small Contour Brush from Sigma, Laguna bronzer and a concealer duo from KissAndMakeUpNY and 100mL of Viva La Juicy perfume from My Beauty Spot. These products were all bargains, especially the NARS and perfume order, and I can't wait to haul them for you guys. More information will be uploaded then. Today my May Lust Have It! pack arrived and, wow, it's incredible. Given the mix up with delivery last month, I'm super impressed with how quickly this box came. It's two weeks into May and I already have my May box. Score. Not only did Lust Have It! get these boxes out in record time, but there was eight, yes eight, products in it. The information card states that the extras are to make up for the lost packages (mine included) and for 'bearing with them' through the issues. If you've read my April box post, you'll know I was very impressed with the customer service I received, as someone who's box was lost in the shipping process, but this is definitely an added bonus. 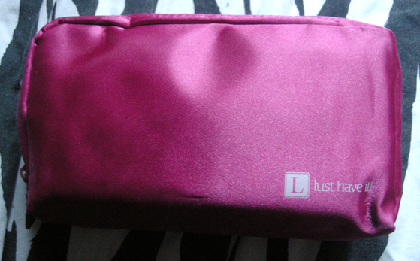 Firstly, as I'm sure you can see, this month's bag was hot pink. YAY! I'm really enjoying receiving my products in a bag as opposed to a mailing box, but I did read it wasn't going to be forever. Damn! For over 6 months now, I've been storing my make up in two sets of 3 drawer office drawers from Red Dot. The two were stacked on top of each other and worked pretty well to store my make up. Well, until I completely filled them and they started collapsing, that is. 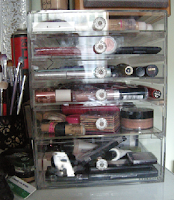 For ages I've been looking into acrylic make up storage but prices have always been an issue for me. A good set of acrylic make up drawers will set you back at least $150 and, up until now, I haven't had the funds to splurge. 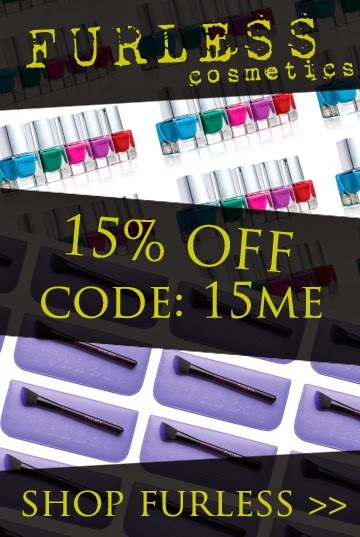 I recently got a new job, however, and I decided that some of my first pay should go towards this product I've been lusting over for so long. 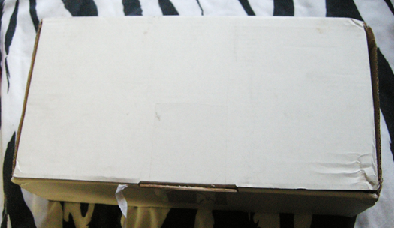 Last Friday I bought myself the Large Glamorous Box from The Make Up Box Shop. Today, just seven days later, it arrived and I couldn't be happier. The Large Glamour Box consists of six drawers. The first four doors are 3cm deep, the fifth drawer is 4.5cm deep and the sixth drawer is 7cm deep. The handles of the box are "diamond cut for that glamorous effect". The entire unit measures at 21cm wide x 24cm wide and 27cm high. To be honest, I wasn't sure if all my make up would fit it here but it does. Just. The drawers in my old storage were each over 7cm in height, so I'm sure you can all understand my hesitation. When I was transferring my products across, I found myself throwing a couple of products away, which is great. I don't think I'll be able to fit many new products into the drawers so I'm considering buying the Small Glamour Box to place on top eventually, but I'm totally cool with that. Would I recommend this? Definitely. I really love how neat all my make up looks now and I'm so happy. I'd definitely recommend people check out The Make Up Box Shop. What do you think of my new storage? What do you think of the price? Would you consider something similar? Stay tuned for a make up storage video. I've never liked hand creams. They're greasy, smelly and I've never really thought they made a difference. One of my favourite beauty gurus on YouTube, Fleur from FleurDeForce, swears by this hand cream so I recently decided to give it a go. At $5.95 for 50mL, I figured I didn't really have anything to lose. 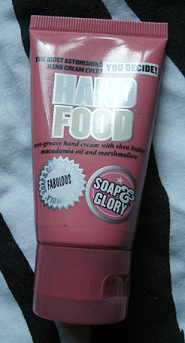 "Hand Food is a silky soft non-greasy hand cream with shea butter, macadamia oil and marshmallow. 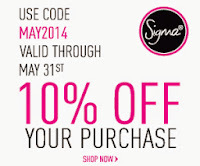 Apply Hand as often as you want to soften, smooth and soothe dry, chapped or otherwise hampered hands." If you've been following and/or reading this blog for a while now I'm sure you can tell that it's looking a bit different. That's right, Born to Buy has had a make over. An incredibly talented friend of mine recently designed a few things for me and edited the colour scheme to make it more fitting. I don't know about you guys, but I love it! That's it for tonight, I just wanted to update you all. Please comment below with your thoughts on the changes. I love them, but you might not feel the same. Wednesday and Thursday were super fantastic hair days for me. On Wednesday I got some feather hair extensions in my hair and on Thursday my favourite hair salon held a salon open day and hair show at night. As far as hair extensions go, I ended up getting six extensions (two bundles of three) as I couldn't decide which I liked better. Both bundles, plus installation (I'm not sure if that's the word, but I'm talking about them being put in my hair) cost me a total of $40.00 as each was $19.95. Both bundles have two natural looking feathers and a bright one; one being an aqua/turquoise and the other being a light purple. 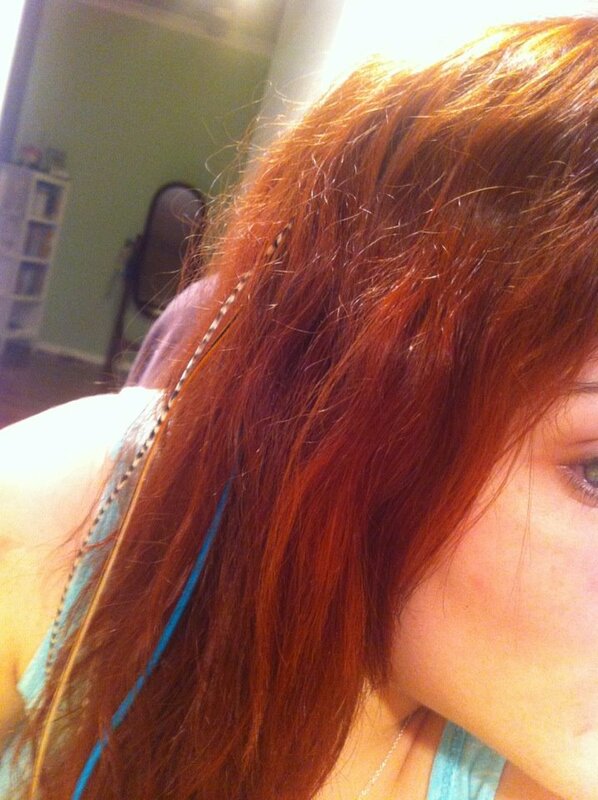 To the left you can see a photo of my hair with the feathers in it but you can't really see them. Sorry! You may also notice that my hair colour's changed. Last week I dyed it a dark copper. I really like the colour. As I mentioned at the start, my favourite hair salon, Hairhouse Warehouse, held an open day on Thursday. I absolutely love this salon. Their service is incredible, their prices are great and the staff are absolutely amazing. My April Glossy Box arrived yesterday. Sorry I didn't post this yesterday but I was heading out to a hair show and I didn't want to rush it! As I mentioned in my April Lust Have It! post, Lust Have It! and Glossy Box have merged and will now be operating as one beauty box under the name of Lust Have It! If you haven't heard, now you know. Ever since my Beauty Box Comparison post I've been trying to decide which box I liked better and which I would unsubscribe from. With the choices being GlossyBox and Lust Have It! my decision has been made for me. YAY! I hate making decisions. 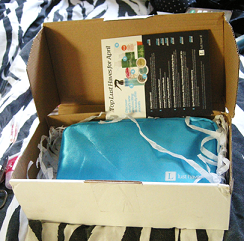 I only received this box yesterday, so I'm unable to review the products. Instead, I'll type out the information provided to me so you're able to get some insight into the items. If possible, I'll also include my initial thoughts. Monday night Born to Buy reached 30 000 views. Can you believe that a month and a half I was uploading my 20 000 views giveaway? I can't! I'm lovin' it though. Keep the views coming, I say. As you all know, I have managed to develop an obsession with LUSH over the past month or two. With this in mind, I figured that it would only make sense that my giveaway was LUSH related. I decided on a gift pack, rather than me choosing the products, because I couldn't choose what to put in the giveaway and this pack contains a couple of products I absolutely love. The pack is also the perfect combination of products. I featured Happy Hippy and Rock Star Soap in my first LUSH haul and they're my now my two favourite shower products. Also, although I don't own it, I love Bubblegum Lip Scrub. I will definitely be buying Bubblegum when (and if) I run out of Mint Julips. For information on any of the products in the pack, please visit www.lush.com.au or comment below. So, now that I've told you all about the prize let's get into how you can win it! My April Lust Have It! box finally arrived today. Yes, today. I know it's the first of May but there was a few postage issues. Unfortunately my box was lost during the shipping process but it's here and all that's all that matters! 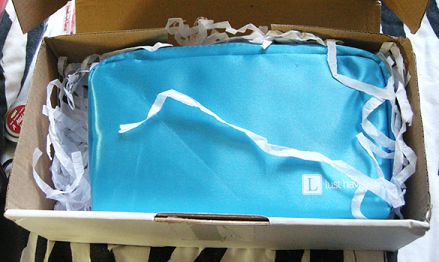 Although there was issues with the delivery of the box, Lust Have It! were incredible. Once again, they kept their subscribers up to date, notifying them every time a piece of information was revealed about the whereabouts of the missing boxes. Thank you, Lust Have It!, for keeping confusion to a minimum. I'm sure you've all heard that Lust Have It! and Glossy Box have merged and will now be operating as one beauty box under the name of Lust Have It! If you haven't heard, now you know. Ever since my Beauty Box Comparison post I've been trying to decide which box I liked better and which I would unsubscribe from. 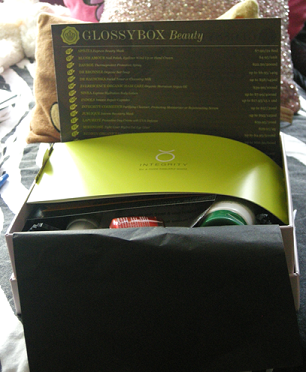 With the choices being GlossyBox and Lust Have It! my decision has been made for me. YAY! I hate making decisions.